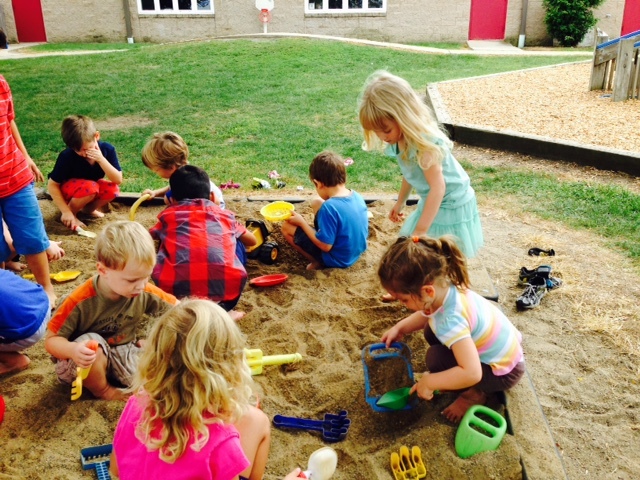 Our students are loving the sandbox as we enjoy the last few days of summer! 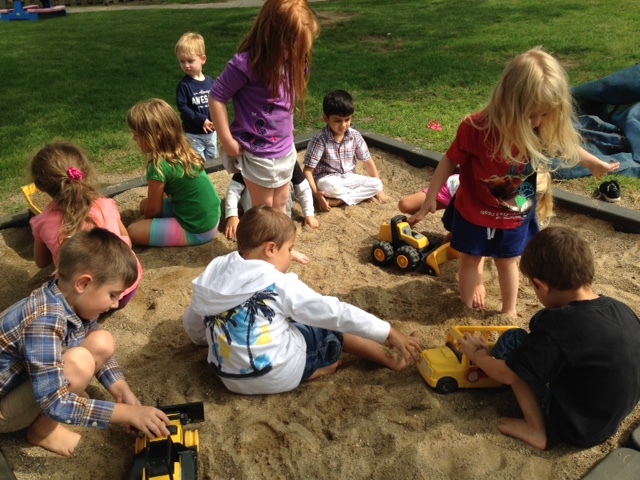 Fall is in the air which means our wacky Ohio weather will start to become unpredictable. 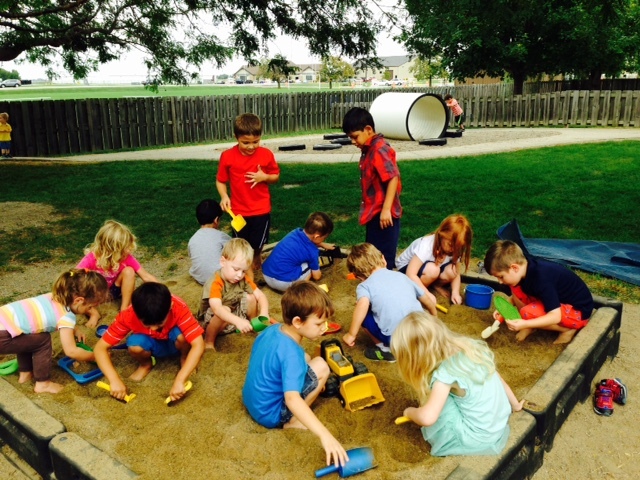 The students are soaking up the last few weeks of “no coat” weather on our playground. 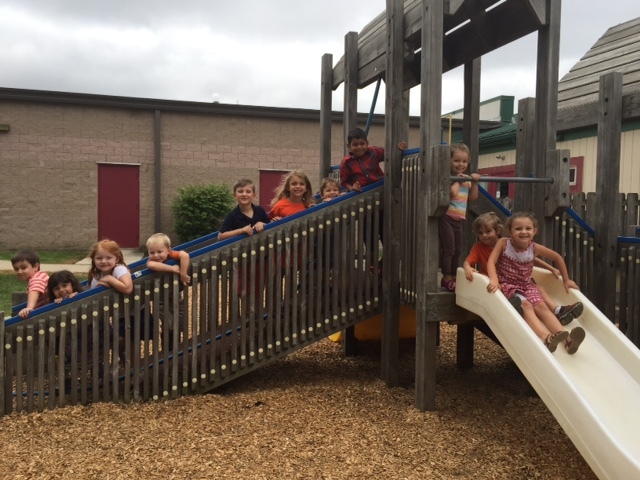 The older children enjoy a separate recess. 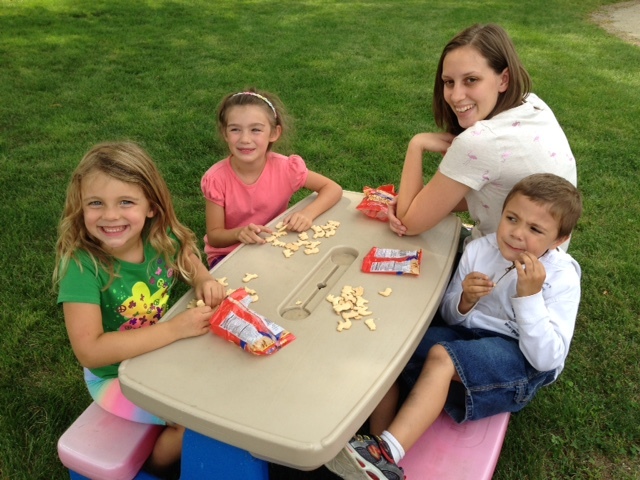 The children were excited to meet their new music teacher, Miss Beth, who is a graduate student at BGSU. 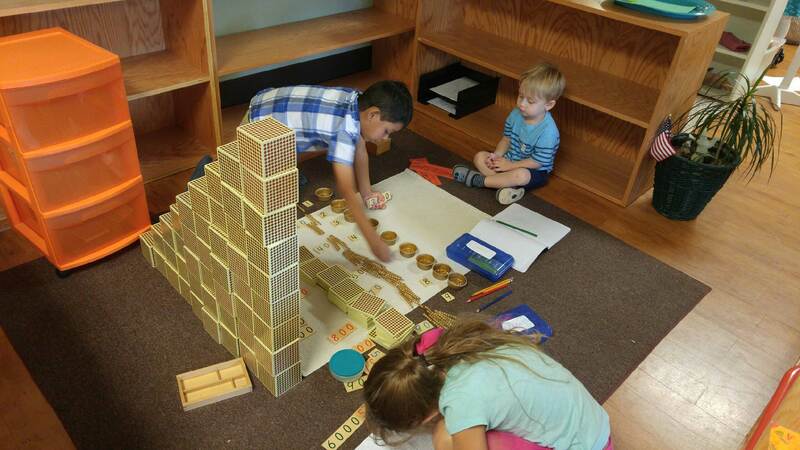 In two weeks, Dr. Cole will begin private piano lessons for Kindergarten and Elementary students. 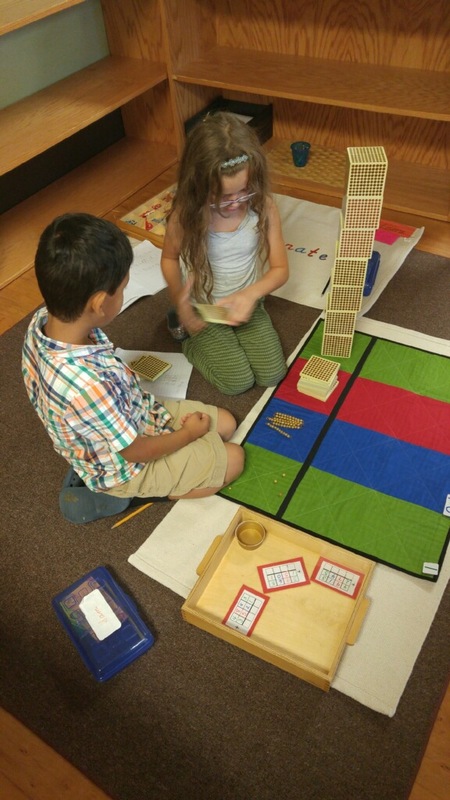 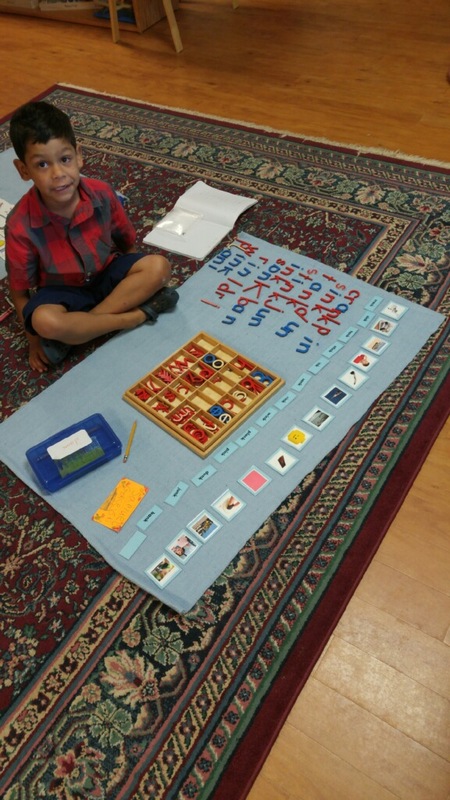 Our first graders are learning how to exchange with the Montessori math materials!